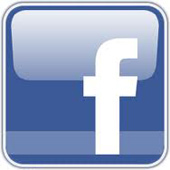 Blue Lizard Reptiles is one of the largest reptile and aquatic specialist retail sites on the internet. We aim to provide the widest range of products at the lowest prices. We sell a vast range of livestock and products specifically designed to meet your reptile and fishes needs, including reptile vivariums, reptile books, livefood, frozen food, vivarium substrates, plants, thermostats, thermometers, UV bulbs, heat bulbs, heat mats and vitamin and mineral supplements. If you can't find what you need on our site, please email us, and we'll be happy to source it for you at our usual low prices. Did you know we can Price Match? Seen what you need cheaper elsewhere online? Then just let us know and we will do our very best to match or even beat the price for you! We keep our prices low all year - but if you do see it cheaper then let us know! 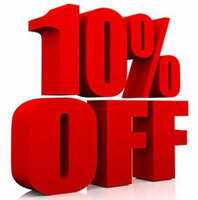 To celebrate, we're giving you 10% OFF most products on our website! This includes a huge range of items from vivariums to livefood, substrate to frozen foods and much more. To get 10 PERCENT OFF just enter code: EASTER19 at the online checkout. Remember this offer ends at midnight on Tuesday 23rd April 2019 so buy now to save money! We have a wide range of Reptile Themed Christmas Gifts on our website. Why not take a look? Delivery only £3.99 for livefood orders! For regular delivery of livefood call 01909 518808. Kick Five Percent Off Your Order this week! To get 5% Off enter code : FOOT18 at checkout. 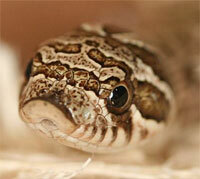 Why not visit our fantastic reptile and pet shop in Dinnington, South Yorkshire? Just 5 minutes off the M1 and M18 we have lots of reptiles, amphibians and invertebrates, fish, mammals and birds in store as well as a wide range of starter kits, vivariums, plants, hides, substrates, thermostats, vivarium decor, livefoods, frozen foods including mice, rats and fish foods and lots more in stock at fantastic prices. We now also have a good range of dog and cat products in store and are expanding our selection massively through 2018! The ProRep Ceramic Heater has been developed specifically for use with reptiles and amphibians, by providing long wave infra-red energy. ProRep Desert Sand is an ideal substrate for creating a desert environment for reptiles like bearded dragons and leopard geckos. Exo Terra Pebble Waterfalls can be installed anywhere in the terrarium. Available in 3 sizes, Small, Medium and Large. ProRep Beetle larvae food are specially prepared and are impregnated with the fungus. Beetle Grub A is made up of prepared, mature broad leaf tree leaf litter.